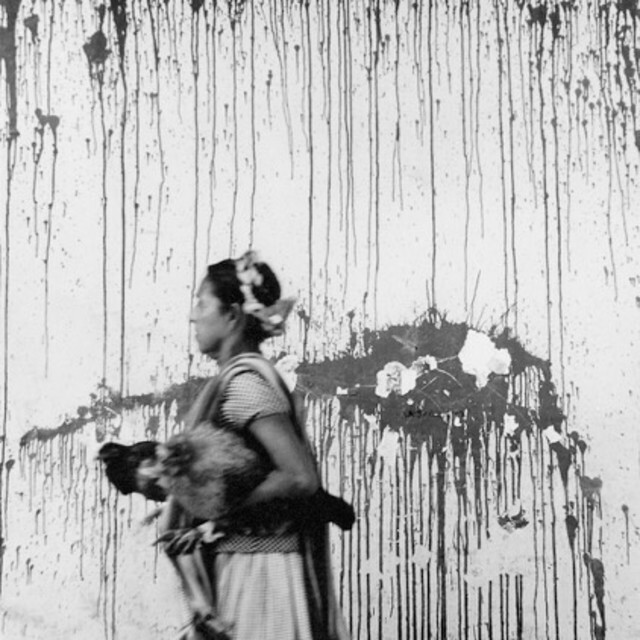 Graciela Iturbide was deeply affected by her contact with the Mexican modernist master Manuel Alvarez Bravo who was teaching at the Universidad Nacional Autónama de México during her time there. From 1970-71 she worked as Bravo’s assistant accompanying him on his various photographic journeys throughout Mexico. Iturbide is famous for her photographs that capture images of Latin America. Two projects in particular focused her lense on some of the indigenous people of the continent. In 1978 she captured the Seri Indians, a group of fisherman living a nomadic lifestyle in the Sonora desert in the north west of Mexico, along the border with Arizona. A later series, from 1979 – 1989, captured the Juchitán people who form part of the Zapotec culture native to Oaxaca in southern Mexico. Between 1980 and 2000, Iturbide was variously invited to work in Cuba, East Germany, India, Madagascar, Hungary, Paris and the US, producing a number of important bodies of work. She has enjoyed solo exhibitions at the Centre Pompidou (1982), San Francisco Museum of Modern Art (1990), Philadelphia Museum of Art (1997), Paul Getty Museum (2007), MAPFRE Foudation, Madrid (2009), Photography Museum Winterthur (2009), Barbican Art Gallery (2012), the Amparo Museum in Puebla, Mexico(2013) and the Tate Modern (2014) amongst others. Iturbide’s work is in numerous public collection including Casa de las Américas, Havana, Cuba; Casa de la Cultura de Juchitán, Juchitán, Oaxaca, Mexico; Musee National D´Art Moderne, Centre Georges Pompidou, Paris, France; Museum of Modern Art, San Francisco, California, USA; The Philadelphia Museum of Art, Philadelphia, USA; The Museum of Fine Arts, Houston, Texas, USA; The J. Paul Getty Museum Collection, Los Angeles, California, USA; Victoria and Albert Museum, London, United Kingdom; MAPFRE Foundation, Madrid, Spain and ESCALA Essex Collection of Art from Latin America, Colchester, United Kingdom.